Whatever your medical practice, have a medical trolley is always a great choice. Whether transport purposes of medical, storage, or simply as assistant for your procedures, medical trolley Promotal answer all your expectations. The stainless steel structure of the medical trolley ensures robustness and unmatched durability of your equipment. It also promotes hygiene and easy cleaning. 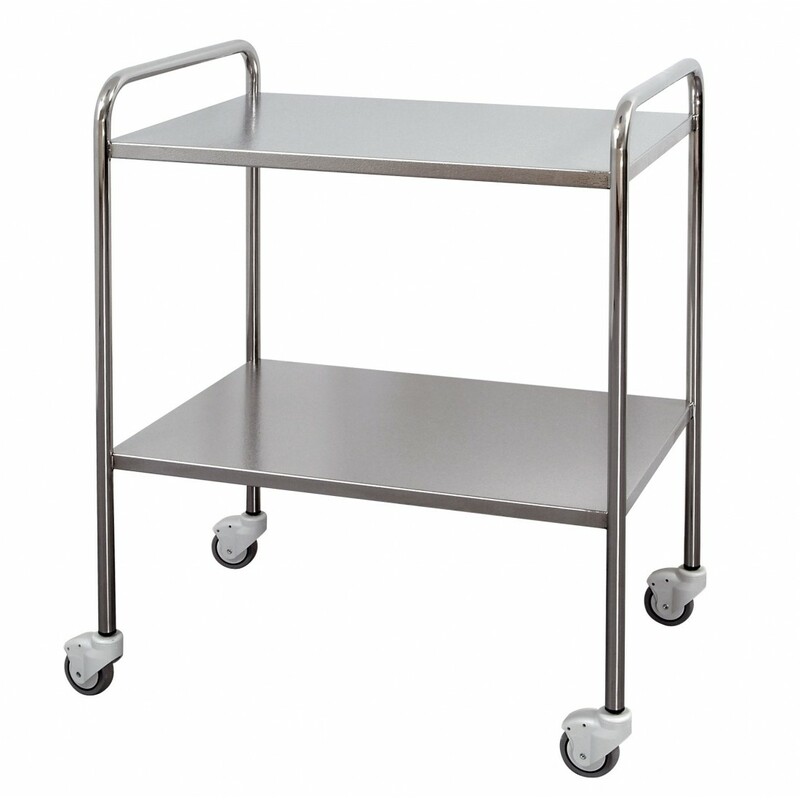 The medical stainless steel trolley with round tube is functional. it is provided with four wheels ensuring high maneuverability before, during and after use. Like its counterpart the trolley with square tube, it will be possible to configure your medical trolley according to your use, by selecting a model and, if required, options. Your medical practice has never been much easier.